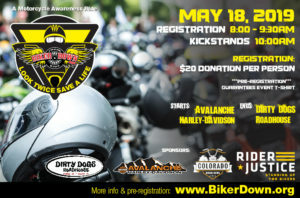 BikerDown will be hosting our 6th annual Motorcycle Awareness ride called the LOOK TWICE SAVE A LIFE run. Scheduled for May 18th. 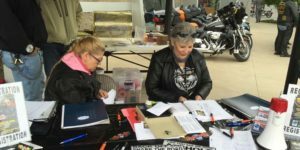 Guaranteed T-shirts included with your advanced registration – $20.00 Maps included with registration. 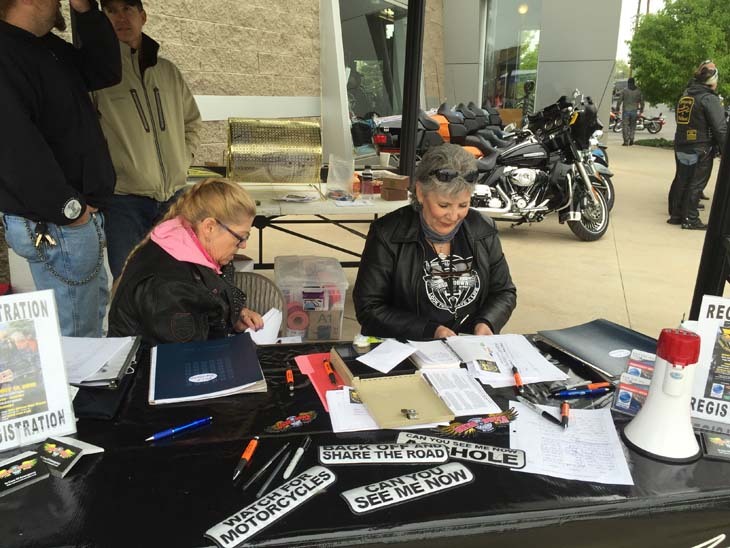 Please Join us for our 5th Annual Look Twice Save a Life Ride – STOP DISTRACTED DRIVING. 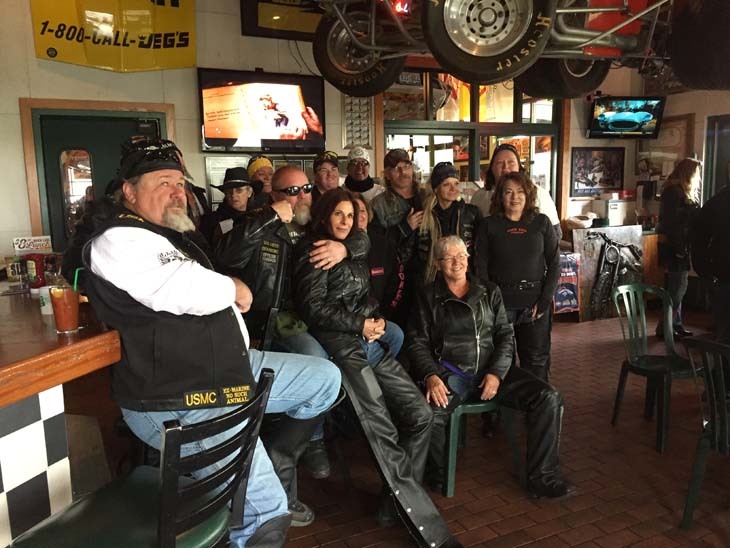 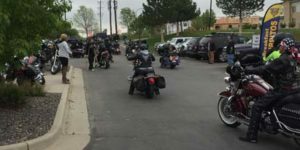 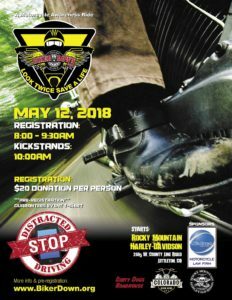 Saturday, May 12th – BikerDown Colorado along with other organizations are committed to the STOP of Distracted Driving. 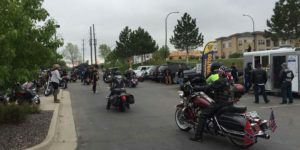 40 accidents occur every day in Colorado and there were over 125 motorcycle fatalities in the State of Colorado alone. 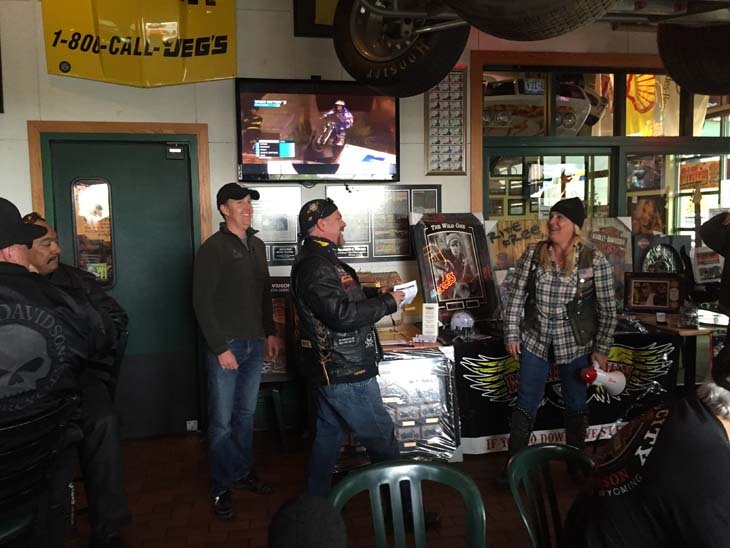 We estimate that 30% of those accidents are caused by drivers not paying attention behind the wheel. 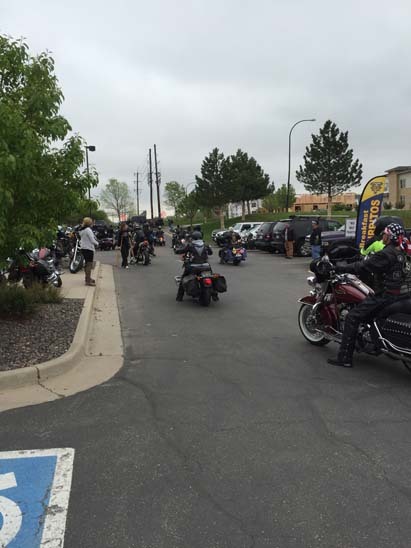 Rocky Mountain HD has agreed again this year to HOST our event as the registration and starting point of our ride. 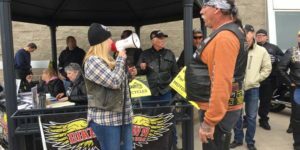 The end ride will be announced closer to the ride. 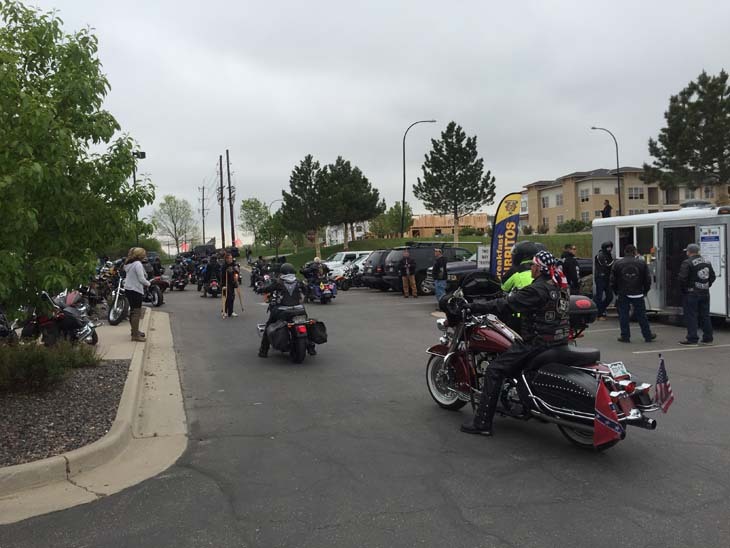 KICKSTANDS ARE UP AT 10AM sharp and we will enjoy a long ride with a stop in the middle. 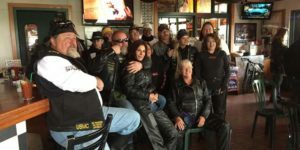 Maps will be posted closer to the rider. 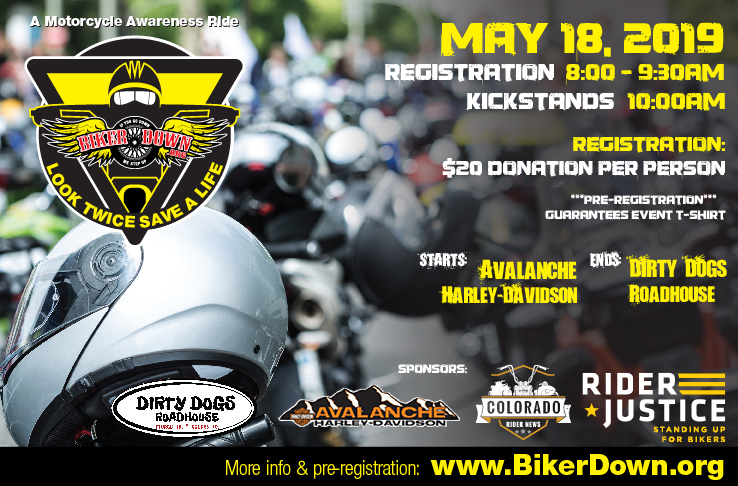 Thank you to our sponsors: The O’Sullivan Law Firm and Colorado Rider News. 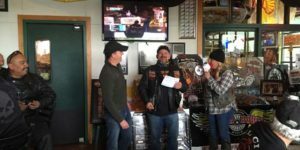 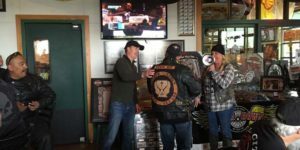 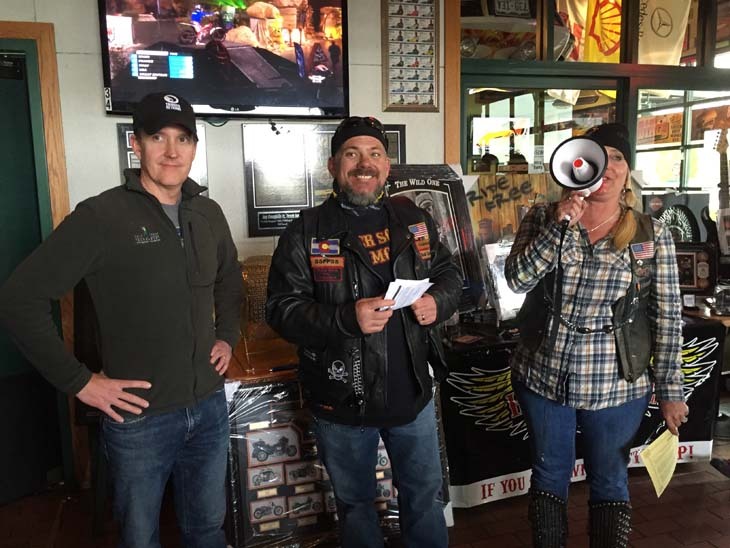 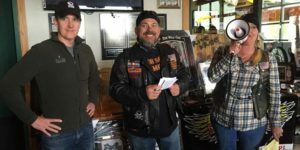 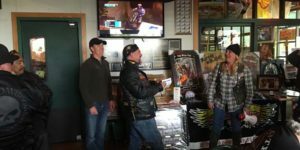 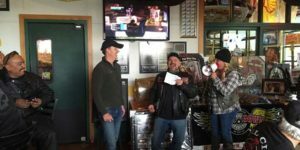 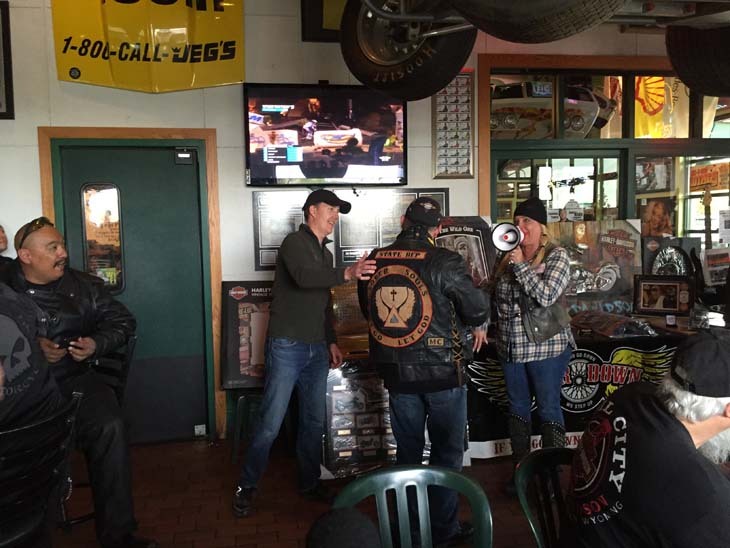 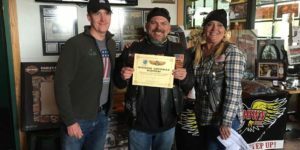 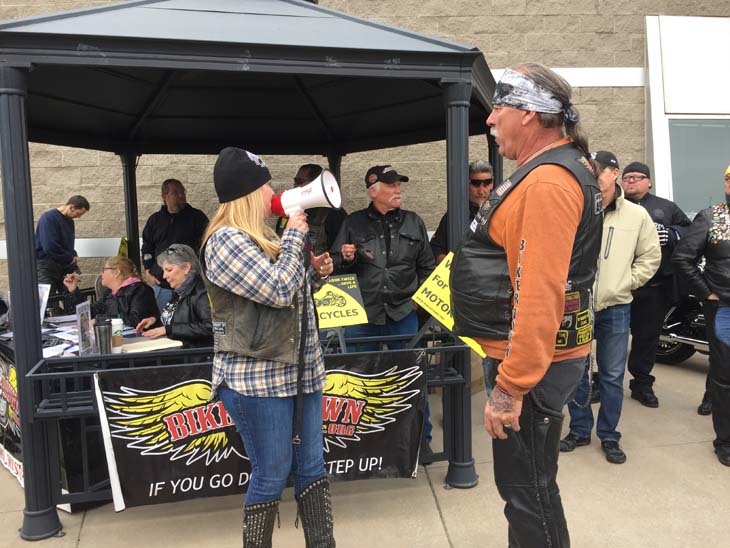 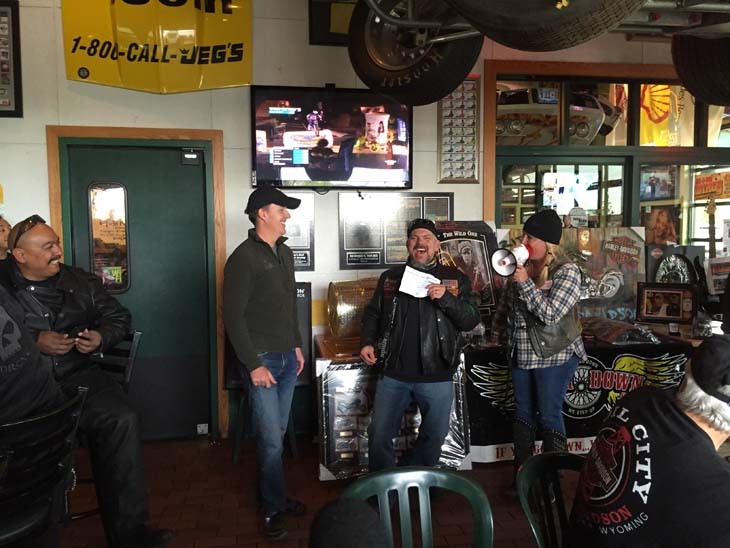 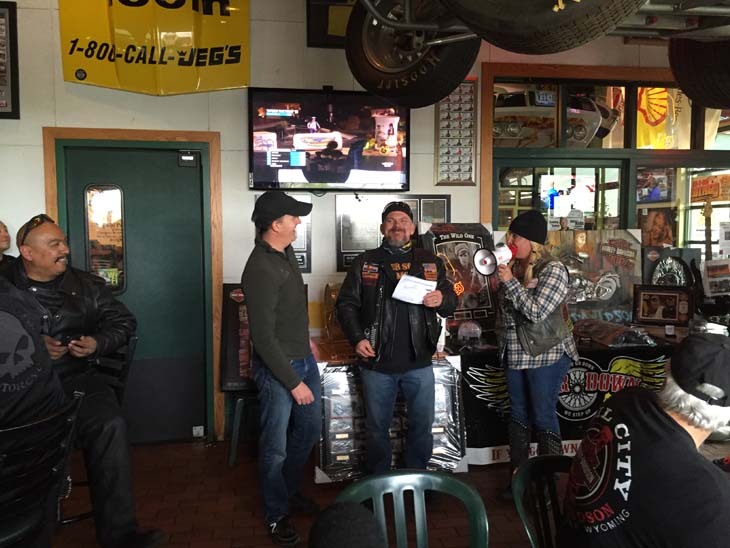 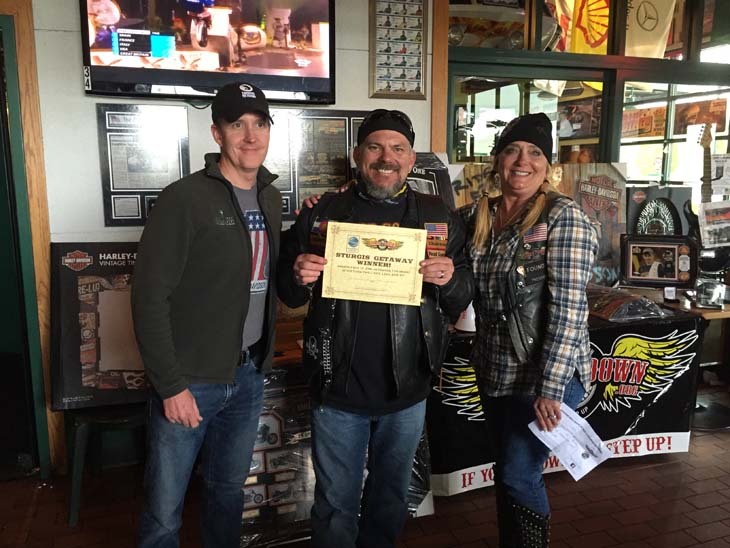 Over 250 riders joined BikerDown and The O’Sullivan Law Firm (Event & Giveaway sponsor) at Rocky Mountain Harley-Davidson where we gave away a Sturgis Getaway that included RV rental at the Buffalo Chip and two early admission passes that include all Buffalo Chip Concerts.